The second Estonian Bird Fair in Tuulingu - Matsalu National Park! 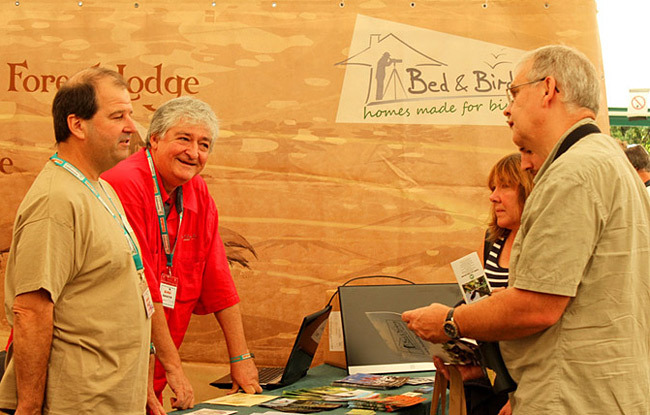 Our stand at the British Bird Fair last week was a great success. There were over 1800 visitors to the web site in the month before the event, and we distributed nearly 400 of the network brochures; we have already seen enquiries coming through on the web site. Moreover, we were visited by many potential partners from around the world, Norway to New Zealand, Australia to Argentina, Ethiopia to Ecuador, Iceland to Bahamas... We are looking forward to welcoming several new partners in the near future. It was also very pleasant to meet and receive support from partners also participating in the Bird Fair - many thanks to Mallorca Natural Tours and Limneo Hotel (Greece). Our Ukraine partner, Salix Ecotours, also used the stand to launch its new Guide to Finding Birds in Odessa Region. Free "Finding Birds Guide" for Bed and Birding guests staying at Iris cottage.